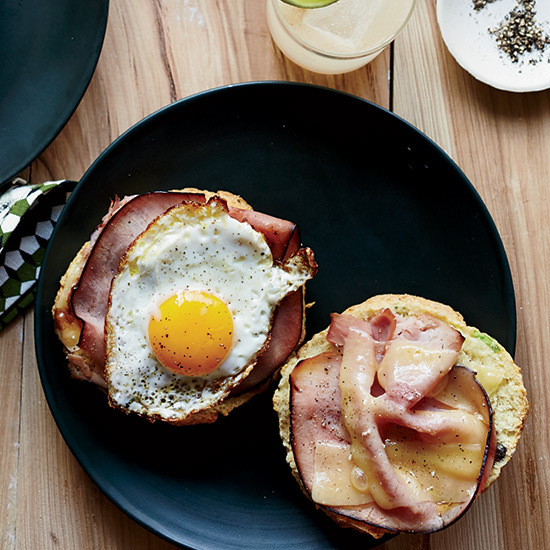 Take your bacon-egg-and-cheese from great to perfect with one of these five delicious upgrades. Dill griddle biscuits—a cross between hot cakes, crumpets and scones—make great breakfast sandwiches with a smoked-salmon-and-egg scramble. “Scallions are so great with eggs,” says Will Gilson. He adds them to the biscuits, which he fills with ham, cheddar and fried eggs; it’s one reason the breakfast sandwich is so good. John Currence doesn't only stuff his biscuits with grilled sausage and creamy blue cheese, he also slathers them with mustard. Alternately, the biscuits can be served unstuffed along with the chicken to mop up the barbecue sauce. Pair these super-satisfying sandwiches with a fresh, slightly spicy Sangiovese.